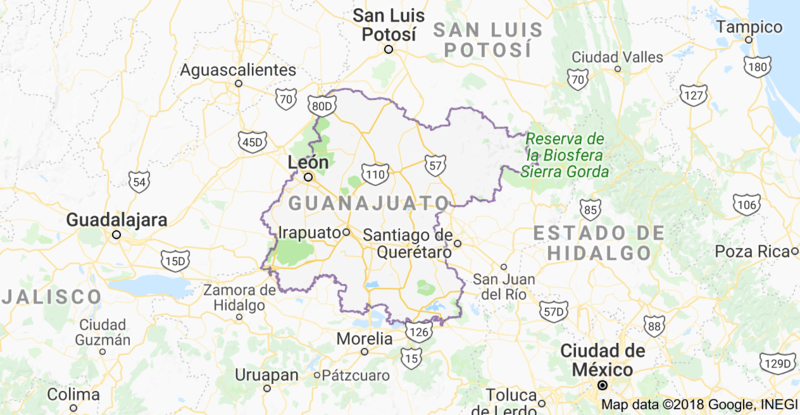 18 people were killed in less than 24 hours in municipalities of Guanajuato such as Irapuato -where 9 homicides were registered-, Salamanca, Abasolo and Pénjamo. Among the cases is the execution of a family in the Loma de Flores community. The municipality of Irapuato is the one that until yesterday had the most violent deaths , where nine people executed, the last incident occurred in the Colonia Copalillo, where armed men killed four men and injured a fifth. Yesterday afternoon, in the Colony Bajada de San Martín, armed men entered a barber's shop on Calle Vergel and murdered a client and two employees. Friday afternoon Blanca Estela, 44 years old, who was in charge of a building and her son Erick, 20, her employee were murdered. The third victim was identified as Juan Francisco, 28, a friend of both. In the place they were short and long caliber bullet casings. The motive for the murder is unknown. In addition SEE Chivis's Post on the Soccer Team players from earlier today. The previous evening, an unidentified cyclist was murdered on Felipe Angeles street, almost on the corner of the North Division of the Second Colony of San Gabriel; in the attack they also damaged a van. While in the colony Zapote del Milagro yesterday a man of 21 years of age was executed. There is no known motive for the aggression. In all cases the aggressors fled. The municipality of Salamanca had six executions in less than 24 hours. In an attack, men executed a family in the Loma de Flores community, when armed individuals wearing hoods on board at least five white Suburban-type units arrived with long weapons and aimed at the houses with a laser. Early on Thursday, a man originally from Michoacán walked down Valle de Santiago Avenue when he was killed by armed men. Photo: Special, via Zona Franca. Armed individuals, on Tulipanes Street, shot at a family, murdering a couple and their daughter, the deceased were identified as Amalia and Ramiro both 41 years old, and their daughter Mirian Citlali, 17 years old. The man was selling scrap and the woman was a factory employee, the girl was a student. The first report was that two opposing criminal groups met and confronted each other, then the state police arrived and faced gunfire against one group, however, the State Attorney General's Office reported that the family were also aggressors and heavily armed subjects. There is no known murder for the triple murder, the perpetrators fled. Earlier a man from Apatzingán, Michoacán, was walking down the Valle de Santiago avenue a few meters from the entrance to the bus station when he was killed by armed men. Once again no known motive or detainees. Also yesterday, the body of a man was found on the road leading to the La Compañía community, which was identified as Jorge Guadalupe, 24, who was riding a motorcycle; minutes before being killed, on his way to work. Another man was also killed and his body was located in the water channel of the El Divisador community. 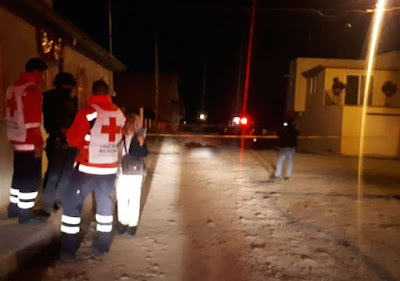 In the municipality of Abasolo , last night two men were murdered, their bodies were located on the road leading to the Maraña community, hours later they were identified as José Antonio, 32 years and Miguel 40, both were carpenters. There is no motive for the murder, nor detainees. 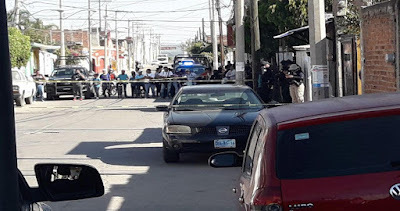 Finally, in the municipality of Pénjamo , yesterday afternoon, a man was shot and killed in the Ivory Street of the downtown area, the man is not identified. Dudes are just killing dudes for no apparent reason. Two carpenters, what the H....? 428 they know that, rarely do innocent people/pheasant's shoot back, because they have no guns.therefore it's easy targets and hardly do they investigate the murders, if family members pressure the police to check, they themselves end up being disappeared, one thing the cartels do fear, are the Autodefensas. Cjng putting in work killing inocents. They dont kill tourists like sinaloas gente nueva tweakers. Something I noticed when I traveled through the irapuato salamanca corridor before all this mess. 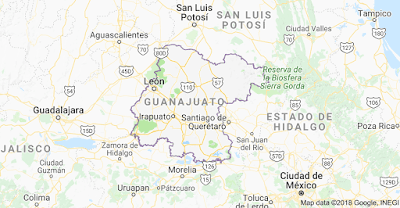 A lot of gangs there back then you could see it in the way the youth dressed they walked around with pitbulls I remember stopping to eat some chicken in irapuato. Coming from a northern state and name I won't say but let's just say it was a messback then and still is. I can't imagine all that youth not getting absorbed by cjng or marro. All the stuff I saw with the pitbulls wearing NFL and NBA teams jerseys seems childish compared to wtf is going on down there right now.